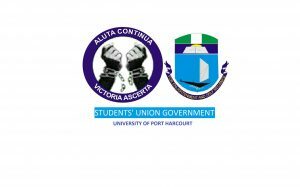 Applications are invited from suitably qualified candidates for admission into the Basic Studies Programme of the University of Port Harcourt for the 2015/2016 academic session. Candidates should possess WASSC/SSCE/NECO/NABTEBOrdinary Level with credit passes in at least 5 relevant subjects. See Table below for further details. · Forestry & Wildlife Mgt. Online application will commence from Monday,June 22,2015; while the closing date for application is 12 midnight on Friday, September 4, 2015. Application is online, Logon to www.uniport.edu.ng and follow the instructions; a fee of Ten Thousand Naira (N10,000.00), excluding Bank charges is required. Payment can be made at designated Banks nationwide. The names on candidates’ O’Level Certificates must be the same as what is filled online. Any false information given automatically disqualifies the applicant. The Screening Test will be Computer-Basedand shall be conducted on Thursday, September 10, 2015. PROGRAMMABLE CALCULATORS OF THE FX – 991ES SERIES, MOBILE PHONES, IPOD AND SIMILAR GADGETS ARE NOT ALLOWED AT THE SCREENING VENUE. In the 1960′s, usually pu-erh tea was compressed tightly and shaped like a bing (flat and thin round cake) which was called an iron bing” (铁饼).